Vladimir Putin has written a column (something he very rarely does), recalling the stories of his parents who survived the hardships of the Leningrad blockade, his dead brother and World War II with very personal details. Putin’s father, Vladimir, joined a small sabotage group under the People's Commissariat for Internal Affairs (NKVD), whose mission was to blow up bridges and rail lines near St Petersburg (then Leningrad), the Russian president recalled in his column in the “Russian Pioneer” journal. Of the 28 members in the group, 24 died in battles with the Nazis near St Petersburg. One day, German soldiers were chasing them in the woods. Putin’s father survived because he hid in a swamp for several hours. His father recalled how he sustained an injury, which invalided him for the rest of his life because he had to live with parts of a grenade in his leg. Putin-Sr was making a sortie behind Nazi lines together with his fellow fighters. However, they suddenly encountered a German soldier. "The man looked at us carefully. 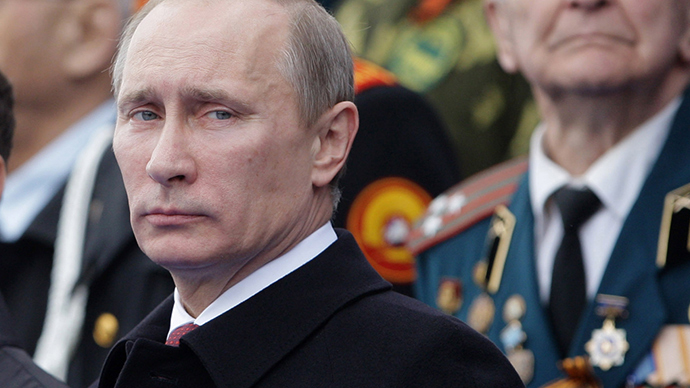 He took a grenade, then another, and threw them at us,” Putin recalls his father’s words. "Life is such a simple thing and cruel,” the Russian president concluded. When Putin’s father woke up, he couldn’t walk and there was another problem – he had to reach his group stationed on the other bank of the vast Neva River which was frozen. However, by chance Putin-Sr met his neighbor, who despite enemy fire managed to get him to a local hospital. The fragments of the grenade were lodged in his leg and the doctors preferred not to touch them in order to save the limb. The neighbor waited for him [Putin-Sr] in the hospital, and after seeing that his surgery had been successful he told him: "All right, now you're going to live, and I am heading off to die." However, they both survived the war, though Putin’s father thought his savior had been dead for a decade. In the 60s, they met by chance in a shop and there was a tearful reunion. Putin’s elder brother was born during World War II. To support his little son, Putin’s father secretly passed his own hospital rations to his wife. But when he started to faint in the hospital “doctors and nurses understood what was happening,” said Putin, recalling his parents’ stories. The child was taken from the family by the authorities and put in a foster home from where he was set to be evacuated. It was only last year that Putin managed to find information about his brother and where he was buried. When Putin’s mother was on her own – her son was taken and her husband was still in hospital – she got sick. The medics considered her almost dead and were transporting her with other bodies for burial. As luck would have it, Putin’s father made a timely return from the hospital. “When he [Putin-Sr] came to the house, he saw the medics were carrying corpses. And he saw my mother. He came closer and it seemed to him that she was breathing. ‘She's still alive!’," he told the medics. They insisted she would soon die, but he refused to listen to them, and instead attacked them with his crutches. “And he took care of her. She lived,” the Russian president wrote. His parents died at the end of the 90s. Every single family lost loved ones in this war, Putin said.